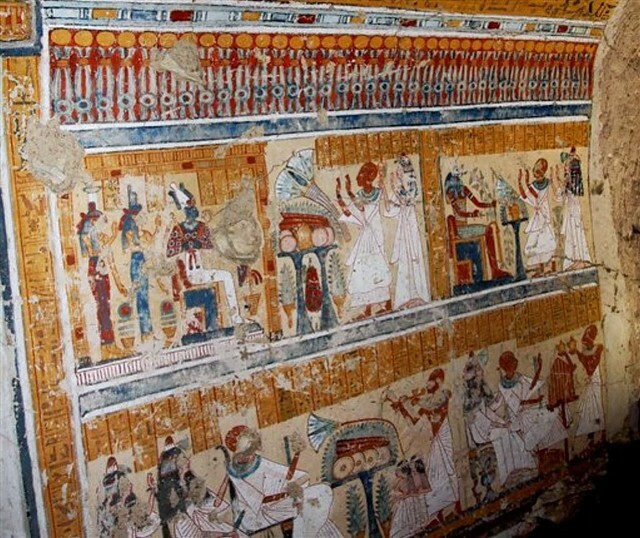 The Luxor tomb “is home to a large and famous temple complex built by Amenhotep III and later by Rameses II. 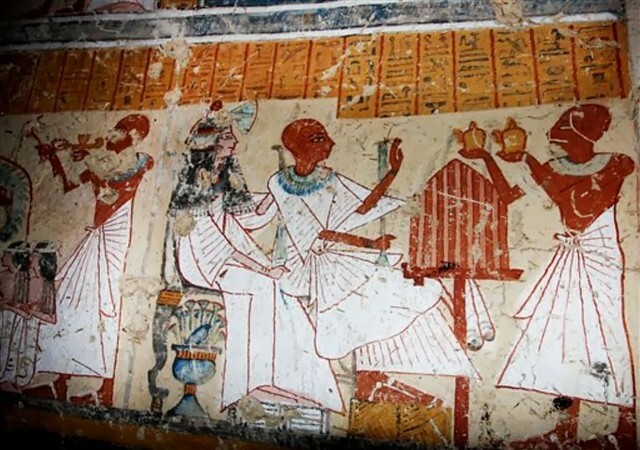 The “Japanese team found the tomb during work on another tomb belonging to a top official under Pharaoh Amenhotep III, who died around 1354 BC.” See the BBC for the full story, though there’s not too much about it yet. Apparently, after it’s fully excavated they plan on opening it to visitors. Now that’s a vacation I’d sign up for. Today’s work of art is by the Swedish-speaking Finnish artist Albert Edelfelt, who in 1886 painted a Portrait of Louis Pasteur. Pasteur, of course, while primarily known for pasteurization of milk, did his initial studies of fermentation and unlocked many of the mysteries of how yeast worked in brewing, paving the way for brewers to better understand and control the process of making beer. In 1873 he published his Treatise on Fermentation. 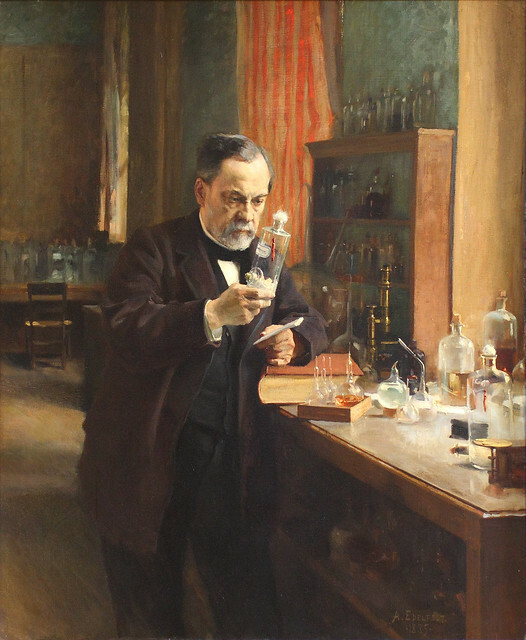 Pasteur is shown in his laboratory in the rue d’Ulm, in the midst of his experimental apparatus. He is holding a jar containing the spinal cord of a rabbit infected with rabies which he used to develop a vaccine against rabies. As a result of this discovery, he was hailed as a benefactor of mankind. Far from being a heroic representation, the painting is the epitome of poise, both in its composition and lighting. Light from a window out of sight on the right spreads delicately over the scene, highlighting the equipment and the scientist’s thoughtful face. To learn more about Albert Gustaf Aristides Edelfelt, you can start with Wikipedia, and you can also see links to his works online at ArtCyclopedia, Painting Giant, Vaasa, the Athenaeum and Wahoo Art. 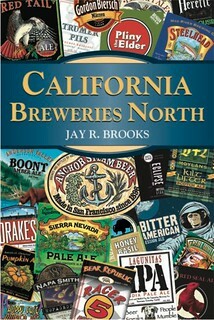 San Diego Beer Blog had the news today that Jeff Bagby is leaving his position as head brewer at Pizza Port in Carlsbad. Nacho will taking his place for now, though Jeff will be staying on in a consultant role while he firms up plans to open his own brewery. That’s awesome news for Jeff and I’m sure that whatever he does will be amazing. Jeff and his fiance Dande at GABF a few years ago. 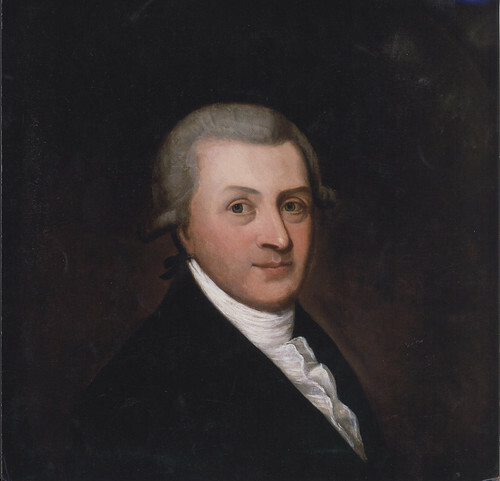 This week’s work of art is by a portrait of Arthur Guinness, the founder of the Guinness beer empire, whose birthday may have been yesterday in 1724 or 25, no one is precisely sure. It’s been used by the brewery for some time, was most likely painted in the 18th century, though who painted it is not revealed. Today is the 4th annual holiday celebrating brewers around the world, International Brewers Day, which I created in 2008. While I haven’t been able to put as much effort into it as I might have liked, someday I will. 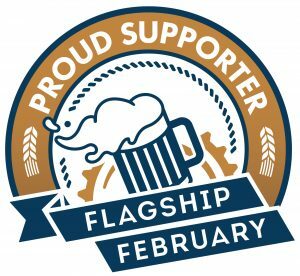 In the meantime, some parts of the international brewing community are carrying on with celebrations, most notably in Australia. For now, a quiet celebration involving beer and any brewer you happen to encounter today is in order. 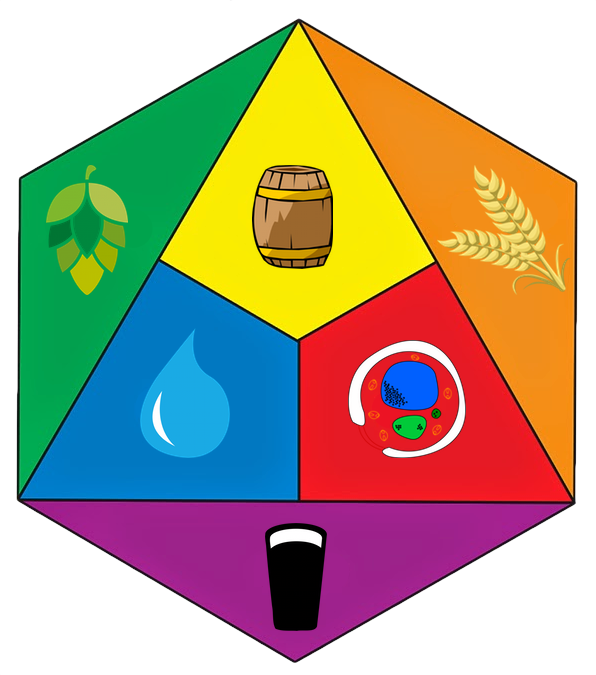 You could see the original idea, the plan and why I chose July 18 at the old International Brewers Day website, but unfortunately it’s currently down. I’ll have to get that moved and back up again one of these days. Brewers have given so many of us the pleasure of their artistry and enriched our lives with their beer since civilization began. So I think it’s time we recognized their efforts by celebrating their lives, their commitment and their craft. We’re all beer people, but without the brewers what would we be drinking? 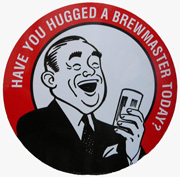 Did I mention that hugging brewers is a big part of the holiday? Our 44th Session is an appropriately scary one, with Halloween at the end of the month. 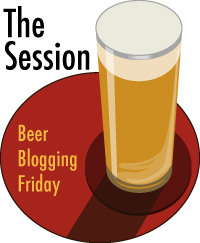 The Session is hosted by Ashley Routson a.k.a. The Beer Wench. She’s chosen “Frankenstein Beers” as her topic, which Ashley likens to Frankenstein’s monster, a creation that was “constructed of human parts and various other inanimate objects,” defying nature’s laws and ultimately “unlike anything the world had ever seen before.” She continues. Many craft brewers are like Frankenstein. They have become mad scientists obsessed with defying the laws of brewing and creating beers that transcend style guidelines. These “Frankenstein Beers” challenge the way people perceive beer. They are freaks of nature — big, bold and intense. The ingredients resemble those of a beer and the brewing process might appear to be normal, but some aspects of the entire experience are experimental, unorthodox and insane. An altercation with these beers produces confusion in the eye of the taster … is it a beer, or a monster? “I do know that for the sympathy of one living being, I would make peace with all. I have love in me the likes of which you can scarcely imagine and rage the likes of which you would not believe. If I cannot satisfy the one, I will indulge the other.” — The Monster. 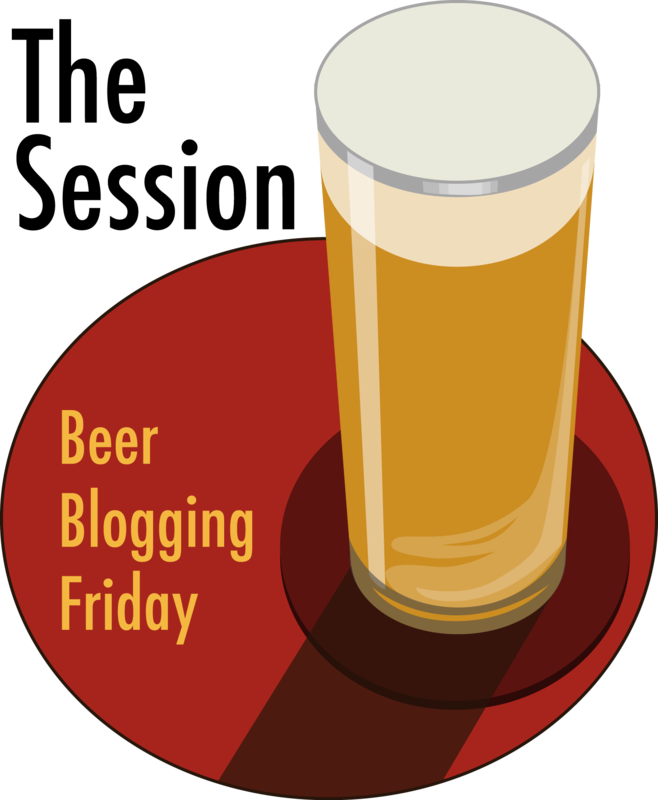 Your mission, should you choose to accept it, is to write a blog post on “Frankenstein Beers.” There are no rules about how to write about this topic — feel free to highlight a Frankenstein brewer, brewery, beer tasting notes … or just your opinions on the concept. To me, it’s not the beers that have become like Frankenstein, but the brewers themselves. 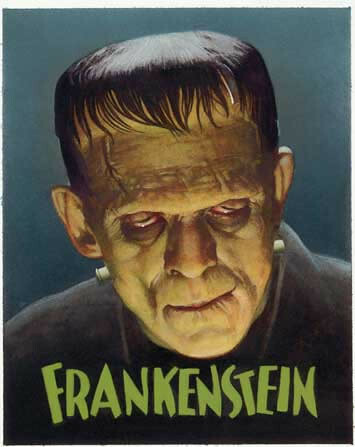 In the same way that many people often mistake Dr. Frankenstein’s monster for Frankenstein himself, his creation actually had no name and was always referred to euphemistically in the original novel. Although once, in a letter, author Mary Shelley referred to Frankenstein’s monster as “Adam.” Perhaps that means Alan Sprints’ Hair of the Dog Adambier is the original Frankenstein beer? 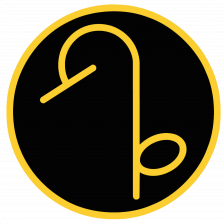 A Modern Prometheus. Prometheus was the Titan who stole fire from Zeus and gave it to mankind. “Zeus then punished him for his crime by having him bound to a rock while a great eagle ate his liver every day only to have it grow back to be eaten again the next day.” Modern brewers also damage our livers each day, but luckily it’s still intact when we wake up with only a hangover the next day. But Frankenstein is also considered an allegory for the dangers of messing with nature and the idea that science can be bad, a common theme at the dawn of the industrial revolution. But Frankenstein’s monster only became so monstrous because his creator couldn’t bear the thought of being his father and banished him. The monster reacted badly to being abandoned along with people not being able to see the good inside of him, his ugly exterior was all they could see. That’s what caused him to become violent and seek revenge on Dr. Frankenstein. His creation could have been quite positive had it not been for the way he was treated. And so Frankenstein is considered a cautionary tale, though it really didn’t have to turn out that way. And it’s for that reason that I consider the notion of Frankenstein beers as a very positive development in the world of brewing. In the last thirty years of craft beer, brewers as confident and skilled as Dr. Frankenstein eschewed traditional styles either by building on them or simply ignoring them to create their own monster beers. But they loved them and nurtured them, and never abandoned them. And I think that’s why we love them, too. No pitchforks necessary. The American craft beer scene, and more recently the world beer scene, has become a landscape filled with Frankenstein-like beers, unique and unusual and beloved. Unlike Mary Shelley’s Frankenstein, today’s monster beers are quite wonderful and prove the science of brewing in a post-industrial age doesn’t pervert nature but raises it to an art form. To me, the best of today’s beers can be described as a balance between art and science. Some breweries are overly scientific and create bland, tasteless beers that are very well-crafted. Others are artistic leaning endeavors that are ambitious and creative but are often inconsistent and/or technically flawed. But the best hit that Goldilocks sweet spot that balances the two. They also don’t follow traditional styles, preferring their own path. And the best of those new ideas are copied — the sincerest form of flattery — creating new kinds of beer and driving many Brits and others who hate the explosion of new beer categories absolutely bonkers. But at the Great British Beer Festival, the American export booth is one of the most popular spots at Earl’s Court. People may complain about the new monster beers, or at least the American predisposition to categorize them, but they’ll line up to drink them all the same. It may be Halloween month, but when it comes to beer, Frankenstein is alive and well throughout the entire year. 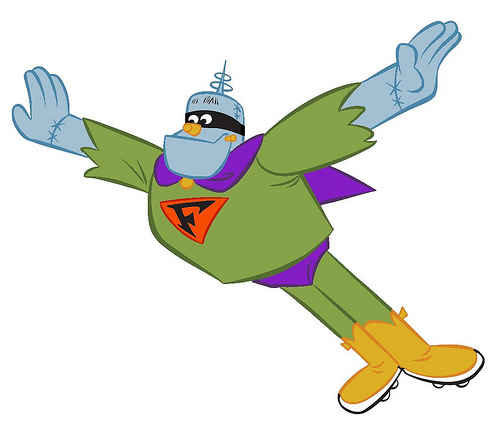 I just think of him as a friendlier monster, more like the 60s cartoon Frankenstein Jr. 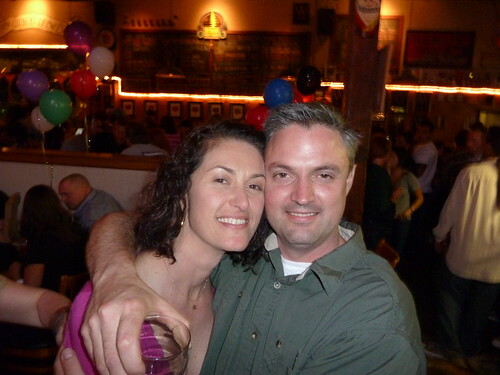 This Sunday, Vinnie Cilurzo, founder and brewmaster at Russian River Brewing, turned forty. His wife Natalie pulled out all the stops and made it a two-day celebration, beginning with a barbecue at the production brewery. We arrived a little early, and Vinnie and Terrence Sullivan, assistant brewer at Sierra Nevada Brewing was there with kegs of a beer that Vinnie brewed in Chico, and they were now filling into wine barrels to store in the barrel room for aging. The beer is for a special project for next year, and I can’t say more than that at this point. We brought our kids along and happily so did Terrence and his wife. 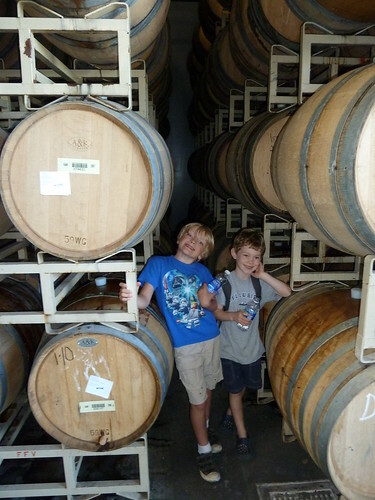 Their son Riley and Porter got along immediately and were thick as thieves playing in the barrel room and the rest of the brewery. We dropped the kids off at Grandma’s, put them to bed, and rejoined the party, which had moved to the brewpub, where we caught up again with Natalie and Vinnie. 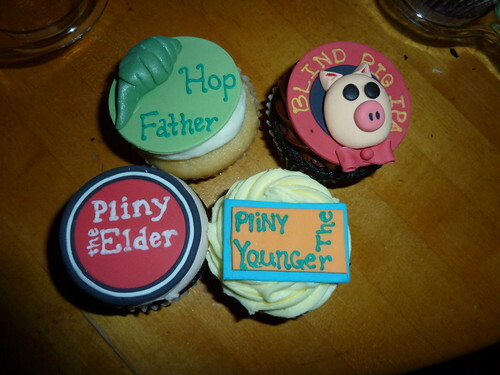 Natalie had a bunch of great cupcakes made, including several custom ones with a few logos you may recognize. 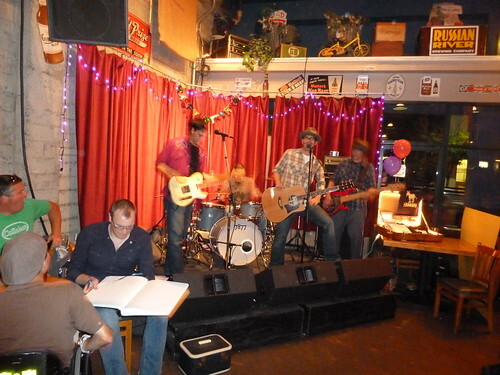 The band playing was one of Vinnie’s favorites, The Famous, a San Francisco band. They even did a special song for the occasion, Pliny the Elder. Vinnie and me toward the end of the evening. The next day, we had brunch at Willie BIrds, near the brewery. After that, the party resumed back at the brewpub, but sadly without us. It was time to get the kids home. 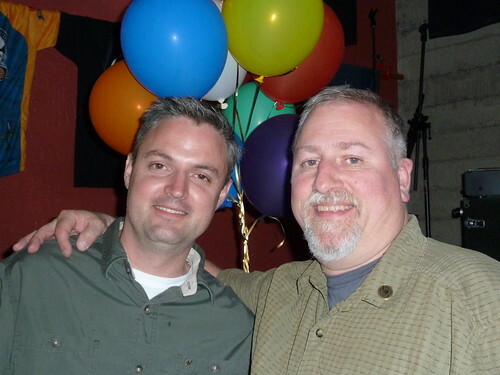 Below is a slideshow of Vinnie’s 40t birthday party. This Flickr gallery is best viewed in full screen. To view it that way, after clicking on the arrow in the center to start the slideshow, click on the button on the bottom right with the four arrows pointing outward on it, to see the photos in glorious full screen. Once in full screen slideshow mode, click on “Show Info” to identify each photo.